Lung Saver Supports a healthy respiratory system. Lung Saver is an advanced dietary supplement that combines the highest quality, most potent, and most effective form of Ayurvedic (indian) herbs with N-Acetyl-Cysteine (NAC), a powerful antioxidant, based on the latest scientific research to support and maintain normal respiratory function and efficiency. 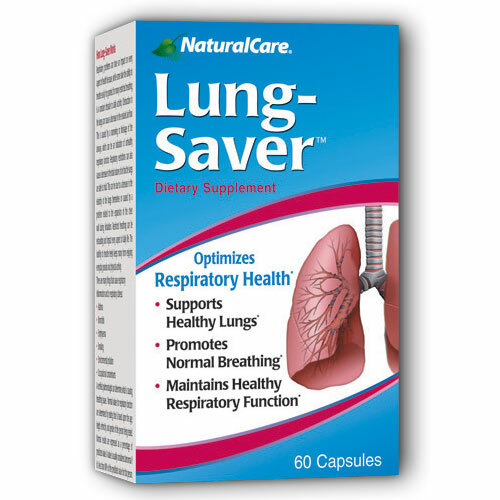 Lung Saver combines Ayurvedic herbs with N-Acetyl-Cystine for asthma, bronchitis, and to support and maintain normal respiratory function and efficiency in adults and children. Pharmacist Formulated Lung Saver. Advanced Dietary Supplement for Adults and Children. Supplement Facts Serving Size 1 Capsule Amount Per Serving %DV Vitamin C (as ascorbic acid) 30 mg 50 Vitamin B (as pyridoxine HCI) 50 mg 300 Picororhiza kurroa at 4% kutkin 100 mg Boswellia serata at 65% boswellic acids 100 mg Piper lingum extract at 1% piperine alkaloid 50 mg Lobelia (herb) 50 mg Adhatoda vasica at 25 mg 1% cvasicine & 2% total alkaloids Licorice 4:1 (Glycyrrhiza glabra)(root) 25 mg Ginger (Zingiber officinale)(root) 15 mg Piper nigrum fruit 15 mg Tylophora asmatica at 15 mg .1% tylophorine alkaloid N-Acetyl-Cysteine (NAC) 10 mg Marshmallow (Althea officinales)(root) 10 mg Other Ingredients: Alfalfa Queen-of-Meadow Root, Corn Silk, Uva Ursi, Buchu Extract 4:1, Juniper Berries, Parsley, Kelp, Cleavers, Protease and Cellulase, Vitamin C (as Calcium ascorbate). No excipients or chemical additives. 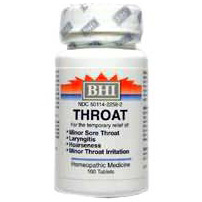 Suggested Use: As a dietary supplement, adults take 1 Lung-Saver capsule with meals twice daily. For children 2-12 years of age, take 1 capsule daily. Euphorbium Sinus Relief Nasal Spray #1 Selling All-Natural Nasal Spray in the U.S. Proven Effective as an Anti-Viral Medication Euphorbium Nasal Spray is for the temporary relief of: Nasal Congestion Runny Nose Rhinitis & Sinusitis Dry Nasal Membranes Cold and Flu Nasal Symptoms Safe for Babies and Children Euphorbium Sinus Relief offers a convenient dosage form in a doctor-recommended formula that has been used worldwide for over 25 years. In a recent clinical study, the formula found in Euphorbium was shown to reduce the growth of the respiratory syncytial virus (RSV) by 35%, confirming Euphorbium as a proven anti-viral medication. As an anti-viral, Euphorbium can also help to prevent secondary infections in the middle ear and sinuses, which can be particularly problematic in children. Euphorbium contains no zinc compounds in its formula for safe, side effect-free therapy. Recommended for use in conjunction with FluPlus tablets. 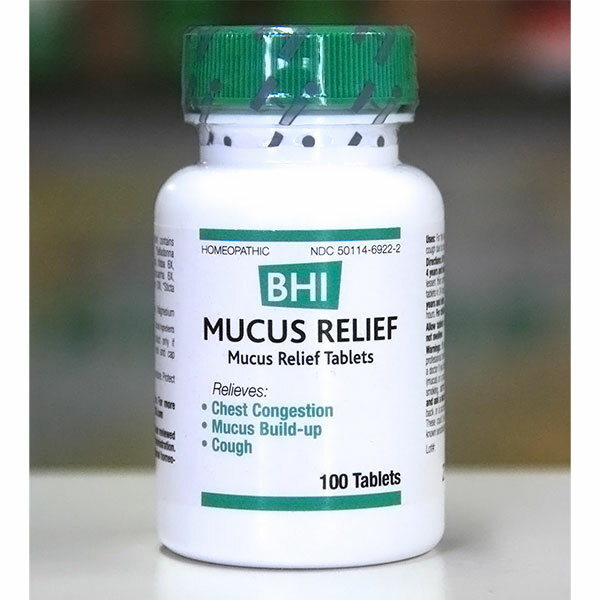 Indications: For the temporary relief of dry, swollen or inflamed nasal membranes and sinus passages: opens nasal passages in case of rhinitis, sinusitis, dry or swollen nasal membranes. Dosage: Unless otherwise directed by a physician, 1-2 sprays into each nostril 3-5 times daily. For children under 6 years, 1 spray 3-4 times daily. Inhale deeply through each nostril with each spray to thoroughly coat membranes. Warnings: The use of this dispenser by more than one person may spread infection. As with any drug, if you are pregnant or nursing a baby, seek the advice of a health care professional before using this product. Ingredients: Each 100 ml contains as active ingredients: Luffa operculata 2X, Pulsatilla 2X, Euphorbium officinarum 4X, Mercurius iodatus ruber 8X, Mucosa nasalis 8X, Hepar sulphuris calcareum 10X, Argentum nitricum 10X, Sinusitusinum 13X, 1.0 ml each. (1X=1:10 dilution, 2XS-1:100, 3X=1:1000, etc….) Inactive Ingredients: Isotonic saline solution; preservative: benzalkonium chloride 0.01%. BHI Hayfever Nasal Spray For the temporary relief of: Itchy & Watery Eyes Sneezing & Runny Nose Nasal Congestion More than 22 million Americans suffer from hay fever, which causes watery eyes, nasal congestion, sneezing, and runny noses. BHI Hayfever nasal spray fights these symptoms with a soothing, non-habit-forming, all-natural formula. Available in an easy-to-use measured-dose spray bottle. Based on the individual constituents of BHI Hayfever Nasal Spray the characteristic symptoms might include: Specific for allergies, asthma, vasomotor rhinitis, neurodermatitis, hayfever Rhinitis and mucosal inflammation Reddened lips, ears and eyelids; nasal congestion indoors; burning eyes Use with BHI Allergy and BHI Sinus tablets for added effectiveness. Dosage: Adults and Children above 6 years: Unless otherwise directed by a physician, 1-2 sprays into each nostril 3-5 times daily. 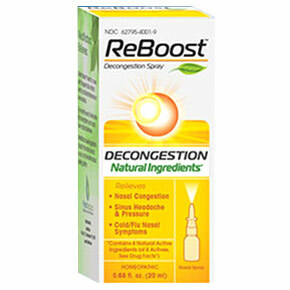 Infants and Children to 6 years: 1 spray into each nostril 3-4 times daily. Warnings: If symptoms persist or worsen, a pysician should be consulted. As with any drug, if you are pregnant or nursing a baby, seek the advice of a health care professional before using this product. Ingredients: Each 100 ml contains as active ingredients: Galphimia glauca 4X, Galphimia glauca 12X, Galphimia glauca 30X, Luffa operculata 4X, Luffa operculata 12X, Luffa operculata 30X: 10 ml each. Histaminum 12X, Histaminum 30X, Histaminum 200X, Sulphur 12X, Sulphur 30X, Sulphur 200X; 5 ml each. Inactive Ingredients: Isotonic saline solution, preservative: benzalkonium chloride 0.01%. Tamper Evident: White pump assembly is pressed onto bottle neck and cannot be removed without visible damage. Do not use if pump is damaged. Herbal Expectorant – Herbal Liquid Formula Our effective Multi-Herb Combinations have been formulated to address specific areas of the body, with a great emphasis placed on whole body systems through the use of support herbs. Therapeutic-grade oils are added to further strengthen the combination as well as to enhance the flavor. Supplement Facts Servings per container: 1 Dropperful (1mL) Amount Per Serving % Daily Value Calories <5 Total Carbohydrate 0.7 g <1% Mullein (Verbascum thapsus) (Leaf) 104 mg Bloodroot (Sanguinaria canadensis) (Root) 52 mg Lamatium (Lomatium dissectum) (Root) 42 mg Pleurisy (Asclepias tuberosa) (Root) 39 mg Licorice (Glycyrrhiza glabra) (Rhizome) 38 mg Grindelia (Grindelia squarrosa) (Leaf, Buds and Flowering Aerials) 30 mg Ginger (Zingiber officinale) (Root) 24 mg Rose Hips (Rosa canina) (Fruit) 16 mg Suggested Use: Shake Well. As a dietary supplement, take 1 dropperful (1mL) 1 to 3 times daily. Measure in Easy-Dose dropper and put directly in mouth, water, juice or mix with warm water to make a tea. Other Ingredients: De-ionized Water, 41% Grain Alcohol (USP Grade), Glycerin (USP Grade) and Allspice (Pimenta dioica) Oil. Warnings: Caution: Long term, high level use is NOT recommended. Not to be used by those who are pregnant/lactating, have high blood pressure, diabetes, hypokalemia, heart/cardiac disorders (this product is formulated with Pleurisy Root which contains cardiac glycosides), or those with disorders of stomach, liver, kidney, or gall bladder unless recommended by your healthcare practitioner. Keep out of reach of children. Disclaimers: This statement has not been evaluated by the FDA. This product is not intended to diagnose, treat, cure or prevent any disease. Fresh Breath Herbal Spray – Natural and refreshing. Cinnamint Flavor. Fresh Breath herbal formula contains Calendula, White Oak, Potentilla, Wild Yam, Yarrow, Myrrh, Essential oils fo Tea Tree, Peppermint and Cinnamon, Glycerin. Our Nature’s Apothecary Herbal Sprays include topical, as well as internal, applications depending upon the most appropriate and convenient use for each particular product. Ingredients: Proprietary Herbal Blen (Calendula (Calendula officinalis) Flowers, White Oak (Quercus alba) Bark, Potentilla (Potentilla spp.) Whole Plant, Wild Yam (Discorea villosa) Roots, Yarrow (Achillea millefolium) Flowering Ariel Parts, Myrrh Gum (Commiphora myrrha) Resin, Tea Tree (Leptospermum spp) Oil, Peppermint (Mentha piperita) Oil, Cinnamon *(Cinnamomum zeylanicum) Oil), De-ionized Water, Glycerin (USP Grade) and 37% Grain Alcohol (USP Grade). Suggested Use: Shake Well. Spray into mouth whenever it is desired to freshen breath. May also be applied to toothbrush or dental floss. Use as needed. Warnings: Do not spray near eyes. Caution: Not for use by pregnant women unless recommended by a health care practitioner. Keep out of reach of children. Chest Calm Herbal Syrup Fast-acting, soothing Chest Calm contains Licorice, Coltsfoot, Blue Vervain, Marshmallow, Elecampane, Jamaican Dogwood, Lobelia, Ginger, Cayenne, and Almond extract. Our Nature’s Apothecary Herbal Syrups are formulated to address specific health concerns and feature the same high quality herbs we demand for all of our NOW herbal products. They include Alfalfa Honey and Vegetable Glycerin and are dosed by the teaspoon for easy use. All syrups contain glycerin, honey, purified water and grain alcohol. *Inappropriate for children under one year of age. Supplement Facts Amount Per Serving % Daily Value Calories 20 Total Carbohydrate 5 g 1% Licorice (Glycyrrhiza glabra)(Root) 155 mg Marshmallow (Aithaea officinalis)(Root) 80 mg Elecampane (Inula helenium)(Root) 75 mg Horehound (Marrubium vulgare)(Aerial Part) 62 mg Jamaican Dogwood (Piscidia piscipula)(Bark) 60 mg Pleurisy (Asclepias tuberosa)(Root) 50 mg Lobelia (Lobelia inflata)(Aerial Part) 40 mg Lomatium (Lomatium dissectum)(Root) 35 mg Grindelia (Grindelia squarrosa)(Flowering Aerial/Bud) 21 mg Ginger (Zingiber officinale)(Rhizome/Root) 5 mg Cayenne (Capsicum spp. )(Fruit) 5 mg Suggested Use: Shake Well. As a dietary supplement, take 1 teaspoon as needed up to 4 times daily. Other Ingredients: De-ionized Water, Glycerin, Alfalfa Honey, 15% Grain Alcohol (USP Grade), and Almond (Terminalia catappa) Extract (natural flavor). Warnings: Long term, high level use is NOT recommended. Not to be used by pregnant/lactating women or those with high blood pressure, GI disorders, gall bladder disease, liver disorders, kidney disorders, or hypokalemia, or heart/cardiac disorders (this product is formulated with Pleurisy Root which contains cardiac glycosides) unless recommended by a health care practitioner. Not for external use. Keep out of reach of children. Disclaimers: This statement has not been evaluated by the FDA. This product is not intended to diagnose, treat, cure or prevent any disease. You are currently browsing the archives for the Lung And Breathing Health category.